Of course, there’s also the incredible new shiny things everywhere. The introduction of the latest mobility technology and the tease of what’s to come. But for us here at iDriveSoCal it’s also special because it marks the first full year of our existence. Clinton “The Professor” Quan and I first reviewed the 2017 LA Auto Show and detailed his Top-5 Picks from the hundreds of vehicles on display. Just like the LA Auto Show itself, we’re going to make this piece a tradition. We hope you enjoy both with us for years to come! Click play below to listen to the podcast and enjoy the pictures of the shiny new things! 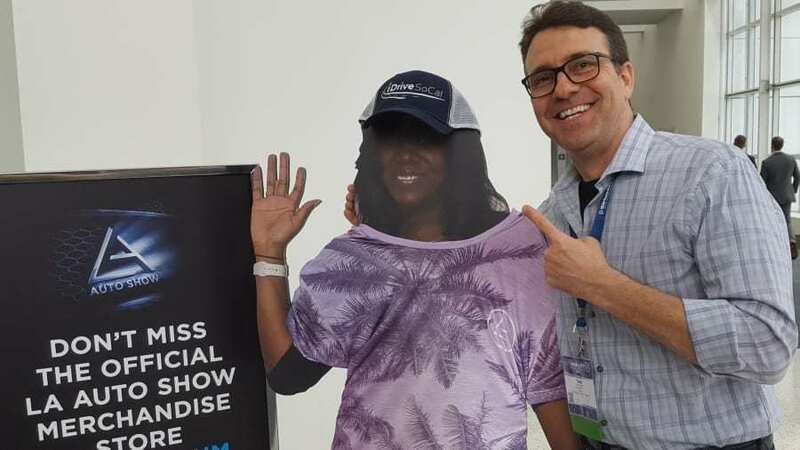 Tom Smith: Welcome to iDriveSoCal, the podcast all about mobility from the automotive capital of these fine United States of America, Southern California. Tom Smith here with the good Professor, Mr. Clinton Quan. Say hello Clinton. Tom Smith: Hello my friend. This podcast actually brings the good Professor and I full circle. I don’t think it’s a year to the date, but about a year ago, the very first podcast that we did was a recap of the LA Auto Show, and specifically, the Professor’s Top-5 Picks from the LA Auto Show. So, man, we’ve done a lot in a year. Clinton Quan: Yes, we have. Tom Smith: It’s been a lot of fun. iDriveSoCal has been a labor of love. Thank you for listening. 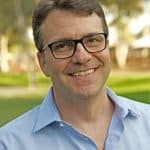 Thank you, Professor, for joining me for so many fun podcasts for us to put together, and we truly hope that you enjoy listening to our podcasts. We definitely love talking about what we talk about. So there’s lots of the car culture in Southern California, I mean jeez. But not only Southern California, really across United States, around the world, and as mobility continues to shift and evolve we’re right here on the cutting edge trying to bring you the latest and enjoying immensely doing so. So again, about a year down or a year ago, we did the Professor’s Top- 5 from the LA Auto Show. Now I’m going to reintroduce the Professor as if brand new. Clinton has been a friend for probably close to 10 years. When we first met our then girlfriends introduced us, and our then girlfriends had met in college, and Clinton just struck me as this guy, man, he knows his cars like crazy, but also he won’t stop talking about cars. And no joke, even after we started this podcast, we’ll do this podcast and then we’ll wrap the podcast up and then we’ll be walking to our cars and he’ll still be talking about cars, which is great, but that just gives you an idea of the passion. And I nicknamed him the Professor because he knows the most granular detail about everything coming off of any major manufacturers supply line, so whether that’s domestic, imports, luxury, even exotics, everything. He knows the most granular detail about all these cars, and there’s a lot to know because they’re rolling computers these days, and becoming rolling living rooms as well with all the tech and innovation and entertainment available in them. But so anyway Professor, thank you for a very fun first year. I’m looking forward to many, many additional years to come of iDriveSoCal collaboration with the good Professor. Clinton Quan: Thank you. It’s been an absolute pleasure. 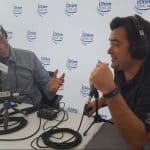 Tom Smith: The LA Auto Show, we’ve already done a podcast on our experience of the Press Days of the LA Auto Show which is called AutoMobility LA. Definitely check out that podcast if you haven’t already, some very interesting things happening in regard to the future of the automotive business, the future of mobility, and we discussed that in that podcast. In this one, we’re going to talk about the Professor’s Top-5. Now, these are the top five picks specifically from the LA Auto Show, but what are the other criteria Professor that you put on this particular list of top five vehicles? Clinton Quan: It would have to be a brand-new design or a heavily refreshed automobile. Tom Smith: Brand new design or heavily refreshed, okay. So a new design means there’s a brand new generation of a vehicle? Clinton Quan: Yes, brand new generation, so that would have a brand-new exterior design, brand new interior design. It’s probably gonna have a new interior as well or if it doesn’t it’s going to be similar to another vehicle in its lineup, such as say the Honda Passport that we did another podcast on. Tom Smith: Right, exactly. The Honda Passport, which actually is brand new but it’s coming back. Clinton Quan: Usually every five, six or seven years. Tom Smith: Yeah, and what we mean by that is, let’s take the Honda Civic, right? About every five or six years your Honda Civic will be completely redesigned by Honda, and then you want to go to, of course, our partners Rock Honda in the Los Angeles suburb of Fontana, California to pick your Honda Civic up, but that happens every five or six years. Now that’s category number one, category number two is the refresh. And the refresh usually happens sometime mid-cycle of that all new vehicle. Clinton Quan: Correct. So usually that would be the third or fourth year. Tom Smith: And a refresh is usually consisting of things that are minor cosmetic, minor technical, minor interior, by cosmetic I meant minor exterior cosmetic or interior cosmetic. 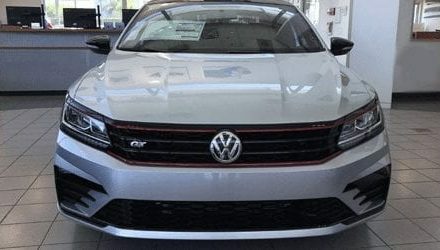 Clinton Quan: Usually, that would be the tail-lights or the headlights changes to the grill design, and then interior there might be some changes to the way the dashboard is designed or the audio climate controls, and then if there’s a more significant refresh, maybe a new engine. 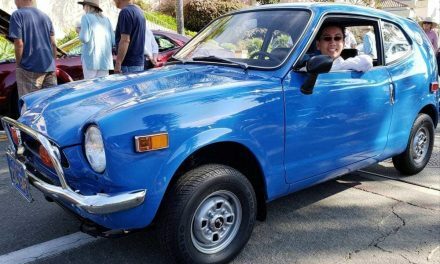 Tom Smith: So that’s kind of the life cycle of a car, and then those years in between being all new or refreshed are just normal years, right? Tom Smith: It’s just a new tick on the old annual number that the car is, right? Instead of 2018, it’s 2019. Clinton Quan: Yes, and maybe there’s a new trim or they’re adding a feature as standard equipment vs optional equipment. They tinker around with the packages. Clinton Quan: Every model year. Tom Smith: Yeah, every model year, that’s a good way to put it. Well, that’s technically the way to put it. Those are the three categories that a new car can fall into. So with that being said, the Professor’s top five from the LA Auto Show. Again, the criteria have to fall into?Clinton Quan: Brand new or heavily refreshed. Clinton Quan: We’re going to go from five to number one. Tom Smith: Five to number one. Number one being your most favorite. Tom Smith: Most favoritest favorite. Clinton Quan: You could say that, yes. Tom Smith: All right. And it can be anything, it can be exotic, luxury, import, domestic. Clinton Quan: Can be anything, that is correct. I’m trying to pick a number of different vehicles from different categories, something for everyone. Clinton Quan: So, number five will be the pretty much almost all new 2020 Porsche 911. And I say almost all new because from what I’ve read, about 20% of the parts were from the previous generation 911. But it does have an all-new exterior design, even though for most people when you look at it you’re probably thinking, “It’s the same 911.” But they’ve tried to retain that classic 911 styling, and they’ve done a great job with that. Tom Smith: It’s a gorgeous car. To me, it looks bigger. Clinton Quan: It is bigger. Now the wheelbase is actually the same, but it’s got longer front and rear overhangs. For those of you who don’t know, the overhang is that part that is in front of the center of the wheel to the front of the car or the back center of the wheel to the back of the car. Clinton Quan: Well the wheelbase is the distance from the front center of the wheel to the back center of the wheel, wheel to wheel. Tom Smith: Got it, okay. I was going to get a little bit more granular with an explanation, but that’s fine. Sometimes I just need to shut up. This is gonna be one of those times. I’m just gonna shut myself up. Okay, so number five is the 2020 911 by Porsche, almost all new. Clinton Quan: Yes. 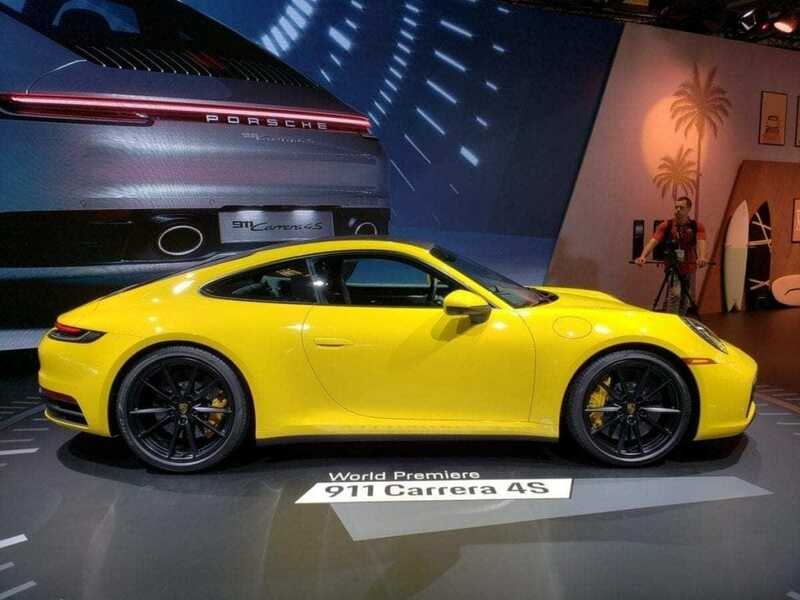 And what they unveiled at the Auto Show is the Carrera S, so it’s not the base model. 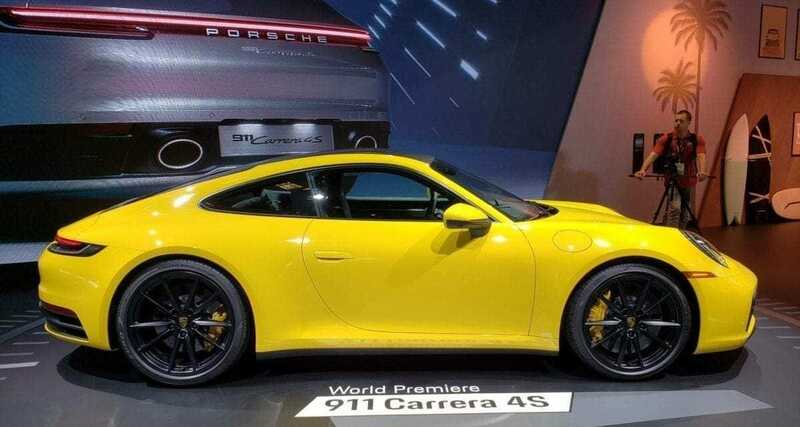 The specifications for the base which will be the Carrera have not been announced yet. Clinton Quan: And the Carrera S, it’s going to have a 443 horsepower, 390 lb-ft of torque. So horsepower has increased by 23 from 420, and it’s increased by 22 in terms of pound-feet of torque, from 368 to 390. The base price is approximately $113,000 for the S.
Tom Smith: Nice, so well within pretty much everybody’s price range for the casual everyday driver. Actually, that’s so affordable that I might just buy one of those, just kind of sit in the garage and take it out from time to time. Clinton Quan: And remember that the base price, so usually with Porsche you can add another 20 to $30,000 in options. Tom Smith: Yeah. Well, nevertheless, and we have this thank the Porsche folks for a fantastic launch that we got to enjoy the last day of the Automobility LA press days. Yummy, good stuff. Clinton Quan: Really good stuff. Clinton Quan: Lunch and breakfast. Tom Smith: You had breakfast? Tom Smith: I didn’t make it to lunch. Clinton Quan: …and then I was told they’re transitioning right into lunch, so I figured, well, might as well just stay here. Tom Smith: Did you try to walk off some calories by chance before? Tom Smith: “There’s no time. I got to eat more.” All right. Number four. Clinton Quan: Number four, I think this will be a surprise to a lot of people. 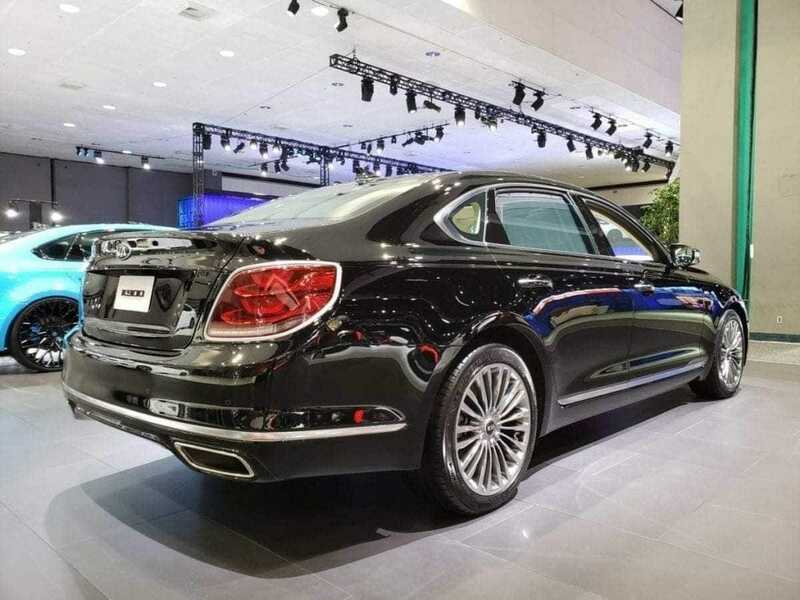 This is the 2019 KIA K900 which is their full-size luxury sedan. There wasn’t a 2018 model, and this is an all-new model. It features the same engine that’s used in the Stinger GT, and that is a 3.3-liter twin turbo V6 that cranks out 365 horsepower, 376 lb-ft of torque. And the new K900 will not have a V8 engine, it’s just one engine, but it will come standard with all-wheel drive as well. So that’s another difference between the previous generation K900 and this new one, and this one I think it looks absolutely beautiful, really clean design. I love the way the back looks. It almost has that Bentley-esque design on the taillights. Tom Smith: I mean that’s a full-size sedan. Clinton Quan: It is a full-size luxury sedan. It has a starting price of just under $60,000. There’s really one package available, which is $4,000, and so you’re going to get a fully loaded one at $64,000. Now you look at a Mercedes S Class also whether it V6 engine, which actually has just a little less horsepower, all-wheel drive 4MATIC S450 starting price is 94,000, so that’s $30,000 more for a base S class. Tom Smith: And that’s exactly where I wanted to go. So this vehicle, the K900, you’re in Mercedes S Class range. You’re in BMW 7 Series range, you’re in Lexus LS range. Clinton Quan: Yes. Direct competitors, yes. Tom Smith: And it’s a KIA. Clinton Quan: And it’s a KIA. Tom Smith: Now I’m a value buyer. Totally a value buyer. Clinton Quan: Same underpinning as the Genesis, which is also part of the Hyundai KIA family and Genesis is a separate luxury brand under Hyundai. Tom Smith: Now why didn’t they have this in 2018? They had a previous, right? What years did they have? Tom Smith: So, it was just 2017? Was it the first year? Clinton Quan: 2017 was the first year for the K900. Sometimes when manufacturers transition from one generation to the next generation they skip a model year. Tom Smith: So, they just didn’t have a 2018 at all? Tom Smith: So, a dealer had a 2017 laying around probably they could still sell you in 2018? Clinton Quan: Yes, and you’d probably get a great deal on that. Clinton Quan: You’re getting a lot of car for the money. Tom Smith: Yeah, but you’re getting it from KIA, right? Tom Smith: …the $90,000 range. And that Mercedes S class which is the base one, the 4MATIC for $94,000, it’s probably going to be almost impossible to get one at that price, right? Usually those cars, they have other features on it, so it’s probably gonna be well over $100,000. It’ll probably be $105,000. Tom Smith: Right. But you’re getting that Mercedes badge. Clinton Quan: Yeah. Personally, I like the styling of the K900 more. Tom Smith: I mean that’s one of the things. It’ll be exciting to see how that brand develops, as well as the Genesis brand, what they’re trying to do there. It will be exciting to see how that brand develops, but it’s an interesting thing. That is the extreme illustration, example of the value in a vehicle as opposed to the badge. It’d be interesting to do some little bit of research and have some chats with the buyer who can easily go the hundred plus thousand dollar Mercedes S-Class route or go with the K900 as opposed and sit down and hear the decision making process. Clinton Quan: I think they’re also targeting people who are also looking at a mid-size luxury car with a true luxury badge such as a Mercedes or a BMW. So you could get a 5 Series or an E Class for that price, right? Tom Smith: Or do you want a full-size KIA? Clinton Quan: …or you could move up to a full size and it would pretty much be fully loaded. So you would still be paying more for an E Class Mercedes if you got that fully loaded and you’re getting a bigger car. Tom Smith: Well, this is before Genesis though, I’ve heard Hyundai KIA compared to Mercedes BMW. Kind of perspective of Mercedes, generally speaking, being a little bit more luxury-focused, and BMW generally speaking, being a little bit more performance focused. Clinton Quan: Yes. And when you speak to most people, that’s the perception they have, right? Mercedes, they’re known for their luxury. BMW is definitely known for performance. And I think Hyundai Genesis is definitely more luxury oriented and KIA is definitely more performance oriented, especially with the Stinger. Tom Smith: Yeah, and Professor loves his Stinger. Clinton Quan: As you know, that’s one of my very favorite cars. That’s the same engine they’re using in the K900, and that’s also the same engine in the brand new Genesis G70 Sports sedan, which was just named Motor Trend’s Car of the Year. Tom Smith: Well, there you go. Ding-ding-ding Motor Trend. Clinton Quan: And that is a direct competitor to the BMW 3 Series, the Mercedes C Class, and the Audi A4. Tom Smith: There you go. Okay, so number five, 2020 911 almost all new. Number for, 2019 KIA 900, all new. What’s number three Professor? 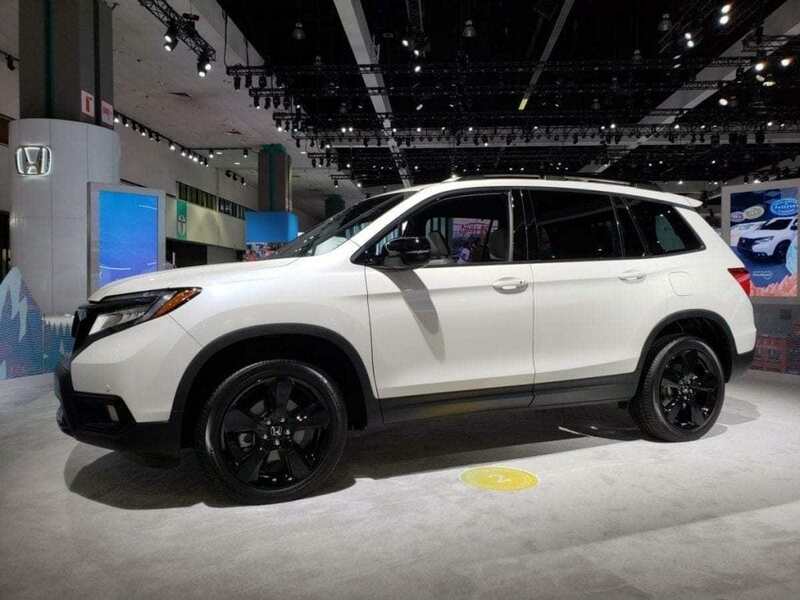 Clinton Quan: Number three will be the 2019 Honda Passport. Tom Smith: 2019 Honda Passport. Hey, All right. Shout out to our friends at Rock Honda in Los Angeles suburb of Fontana California. Clinton Quan: And I read that Honda actually decided on that name while they were already designing and engineering their vehicle, so that was in the process. They didn’t design it at the very beginning. Tom Smith: I mean hey, they realized that they needed something in between the pilot and the CRV. Tom Smith: And there’s already a cache that is with the Passport, as they use the name a long time ago. And it makes sense too, because now as we did the podcast. But when the Passport was in production years ago, it was off-road capable, off-road ready, and now with the reintroduction of the Passport, this vehicle, Honda has also designed to be off-road ready, off-road capable. Clinton Quan: Yes. And they wanted to give it that rugged look that a lot of people want, even though it is a crossover, they want the rugged look of a true SUV. Clinton Quan: Yes, and also because for a lot of people the CR-V may be too small and then the Pilot’s too big, so the Passport would really be the ideal size for them. And there are so many other vehicles in the segment as well, so Honda realized they really needed something to compete against Chevy with the new Blazer, Ford with the Edge, Nissan with the Murano, Jeep with the Grand Cherokee. So this is a true direct competitor. Tom Smith: All right. So number three is a 2019 Honda Passport, four is the 2019 KIA K900, five is the 2020 Porsche 911. What do we have for number two? Clinton Quan: Number two is going to be the all-new 2019 Mazda3, which comes available both as a hatchback and a sedan, and this is truly a premium compact. And there’s probably nothing else quite like it in its class, very stylish design. Love the curves on the car. It’s just a great looking car. It’s going to have initially the same 2.5-liter engine that was found in the previous Mazda3, which pumped out 184 horsepower and 185 lb-ft feet of torque, but later on in 2019 they’re going to have a more advanced engine, which will be probably even more fuel efficient. The other big news on the Mazda3 is that it will be available in all-wheel drive as well. Tom Smith: Interesting. Now, something that I didn’t realize till you mentioned it, I don’t know in the last couple of months. Mazda makes nothing but four-cylinder engine. Clinton Quan: That is absolutely correct. Yes, everything is either a naturally aspirated four-cylinder or a turbocharged. 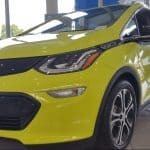 So if you look at their entire lineup of vehicles, they’re actually the most fuel-efficient automaker, even though they don’t have any hybrids or electric. Tom Smith: That’s what I was just going to point out. Clinton Quan: Yeah, entire lineup. Clinton Quan: Which is very, very impressive, and a lot of people don’t realize that. Clinton Quan: And that’s one of my very favorite… I would call that a full-size crossover three-row. It’s a big crossover. Tom Smith: So that’s a big crossover, but that is another testament to Mazda’s tech, that they have a three-row crossover SUV, big vehicle. Tom Smith: That’s being powered by a four-cylinder. Tom Smith: A lot of torque. Clinton Quan: …for a four cylinder. 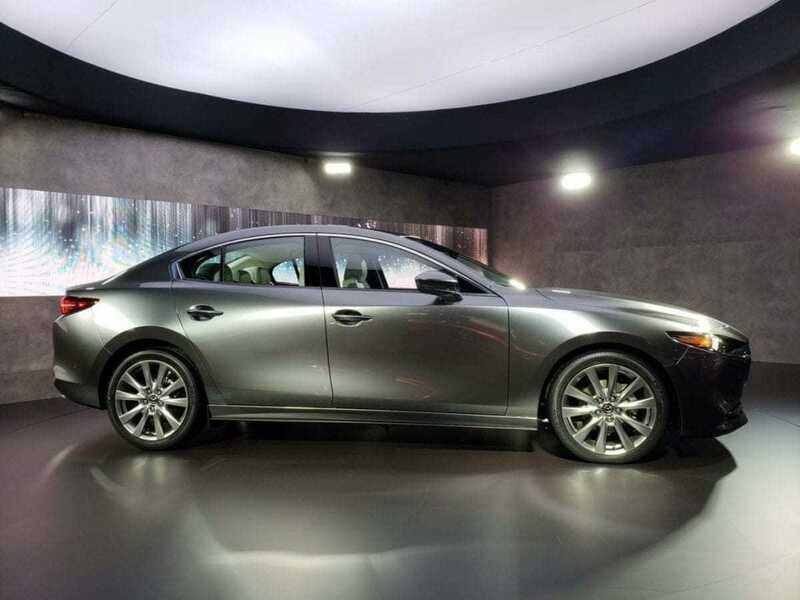 Tom Smith: Now that’s the CX-9, that’s not the Professor’s number two top five from the LA Auto Show is the 2019 Mazda3 which comes in a hatchback or a sedan. And what is the horsepower and torque on that? Clinton Quan: They haven’t announced it yet, but it will feature a 2.5 liter inline four. Speculation is that the horsepower and torque should be the same or if it’s not the same it will be very similar to the current generation, which I mentioned is 184 horsepower and 185 lb-ft of torque. Tom Smith: Okay, all right. That brings us to number one. So before we get to number one, real quick recap. These are Professor’s top five picks from the LA Auto Show. We have number five, 2020 Porsche 911. Number four, 2019 KIA K900, number three, 2019 Honda Passport and number two, 2019 Mazda3. Number one from the LA Auto Show as perceived, as viewed, as desired by the good Professor, Mr. Clinton Quan, is? Clinton Quan: It’s going to be the 2020 Lincoln Aviator. Shocker, right? Tom Smith: My jaw dropped. 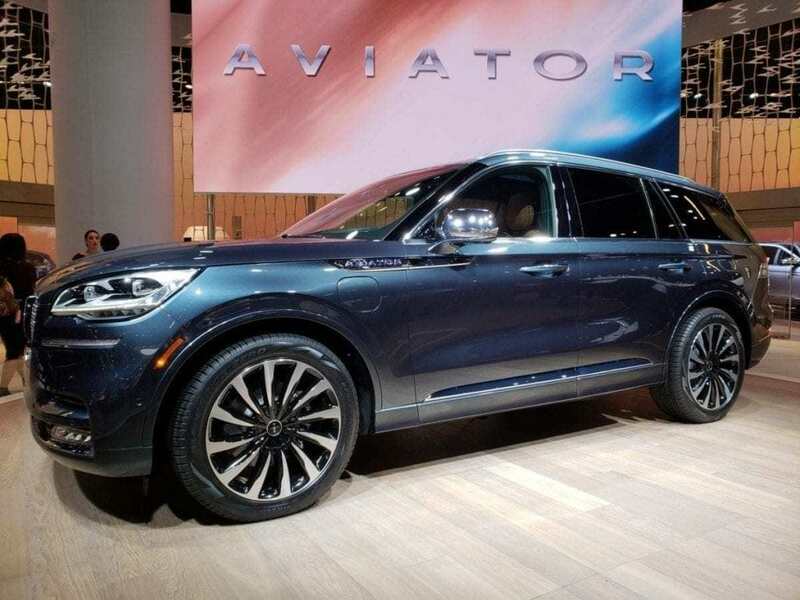 2020 Lincoln Aviator. Clinton Quan: Did you see that? Tom Smith: It looks huge. Clinton Quan: It’s not a mid-size, that’s a full-size vehicle. Clinton Quan: Well they have a mid-size, it’s the Nautilus, and they have a compact MKC. The Nautilus is definitely a midsize. This vehicle is easily over 200 inches in length. I can’t imagine it being less than that. It’s a big vehicle. Tom Smith: So, the non-luxury version of this is the Explorer. Tom Smith: The Ford Explorer. Clinton Quan: Yes. I think they’re going to come out. Ford will have a new Explorer, so it’ll probably use the same platform. Now, this vehicle has a 3-liter V6 twin turbo that cranks out 400 horsepower. Clinton Quan: 400 horsepower, 400 lb-ft of torque. That’s the engine. Tom Smith: We got three rows here? Tom Smith: That’s the base? Tom Smith: So, you can get one with more than 400 horsepower? Tom Smith: The torque is going to be sick. Clinton Quan: …600 lb-ft of torque. Clinton Quan: 600 lb-ft of torque and the interior is beautiful in this car, it’s not like the other Lincolns. Maybe you could say it’s maybe similar to the Navigator, but it’s gorgeous. Tom Smith: These are front wheel drive standard, all-wheel drive option, all-wheel drive standard, rear wheel drive? What are they? Clinton Quan: Yes, they’ll definitely have all-wheel drive, but front wheel drive probably standard. I don’t know if they’ve made that decision yet, because it is a 2020 model so I don’t know when it’ll come out. But the trims will be base so that’ll just be Aviator, then you’ll have Reserve. Then there’s, let’s see, the very top line is the Black Label, but then there’s something in between the Reserve and the Black Label. I think it’s the Grand Touring edition. Tom Smith: All right. Wonder how long it’ll be until we see Matthew McConaughey and TV spots with the Lincoln Aviator 2020. Clinton Quan: Well, this is a very, very important vehicle for Lincoln. Tom Smith: Why do you say that? Clinton Quan: Well, for those of you who don’t know, Lincoln the past several years, they’ve spent a lot of money on marketing, right? Tom Smith: Yeah, Matthew McConaughey. Clinton Quan: Yeah. They’ve been on a slight decline in terms of sales, so this is a very important vehicle for them and I think it could change the perception for a lot of consumers about Lincoln. Tom Smith: It cranked my head at the Auto Show for sure. Tom Smith: That’s not a new name. They’ve had that name for a long time. Clinton Quan: And that’s also a lot more expensive too. Clinton Quan: The Navigator is a very boxy looking vehicle, this one’s got more curves on it. It’s more stylish and great looking interior, and you’re getting all that horsepower in that vehicle, and you’re getting the third row. Tom Smith: Okay. Well, there you have it. The good Professor, Mr. Clinton Quan‘s, top five from the 2018 LA Auto Show. From five to one, we have number five, the 2020 911, almost new from Porsche. 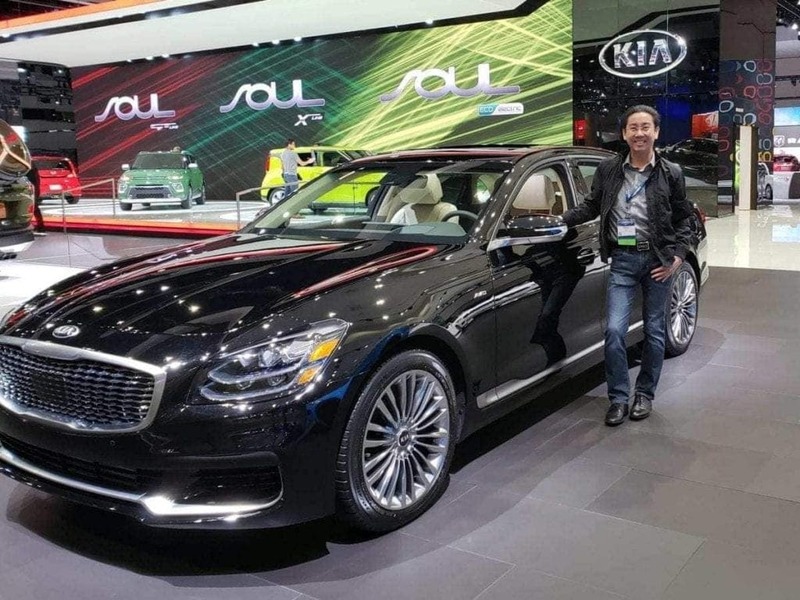 You have number four, the 2019 KIA K900, all new. 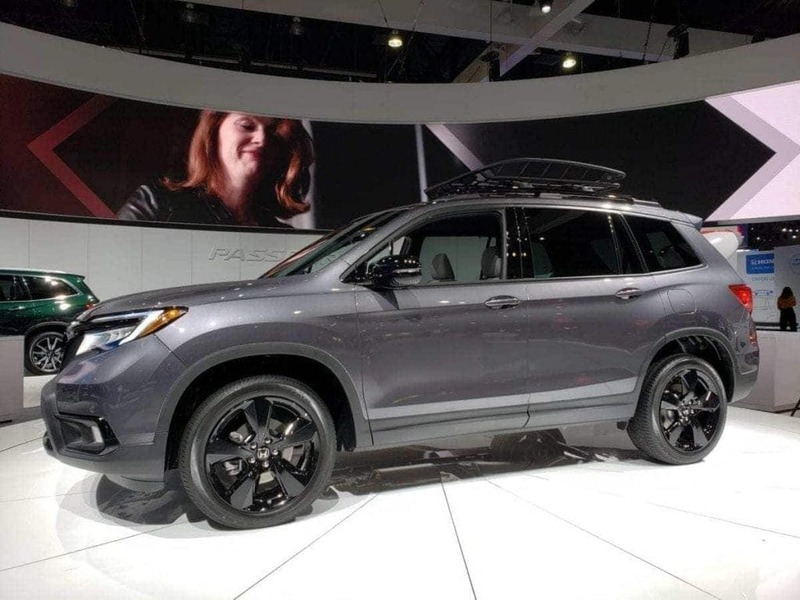 Number three, the 2019 Honda Passport, which Honda is bringing back and that’s going to fall between the Pilot and the CR-V. Go to our friends at Rock Honda for that one. Number two, the 2019 Mazda3, which comes in a hatchback or sedan. And then the number one, surprising Lincoln entry, the Lincoln Aviator. That is the good Professor’s top five from the 2018 LA Auto Show. Professor, unless you have anything else. Clinton Quan: I think we’ve covered it all. Tom Smith: You’re good? All right. I’m good. For iDriveSoCal, Professor thank you so much as always. Clinton Quan: Oh, thank you. Tom Smith: I’m Tom Smith. Thank you as always for tuning in.